11 Technical SEO Tips to Boost Your Site’s Rankings #Infographic ~ Visualistan '+g+"
Technical SEO might be a challenging aspect for even the most seasoned SEO experts. Technical SEO just refers to any optimization work that is done aside from the content. Essentially, it’s laying a strong foundation to give your website the best chance it can have to rank for relevant search queries and avoid being the bad kid on the block in Google’s eyes. Analysing and fixing technical issues at an early stage will really make a difference to your website rankings. 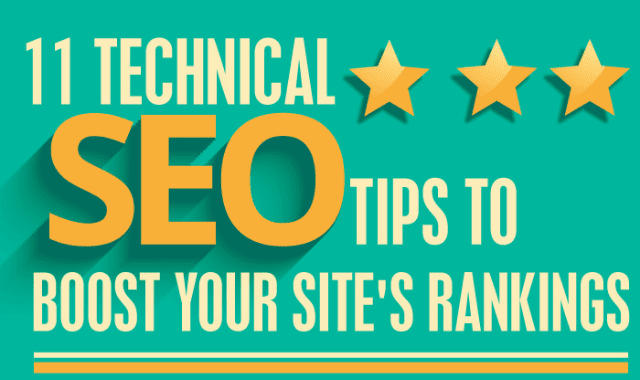 Here’s an infographic illustrating 11 technical SEO tips to boost your site’s rankings.